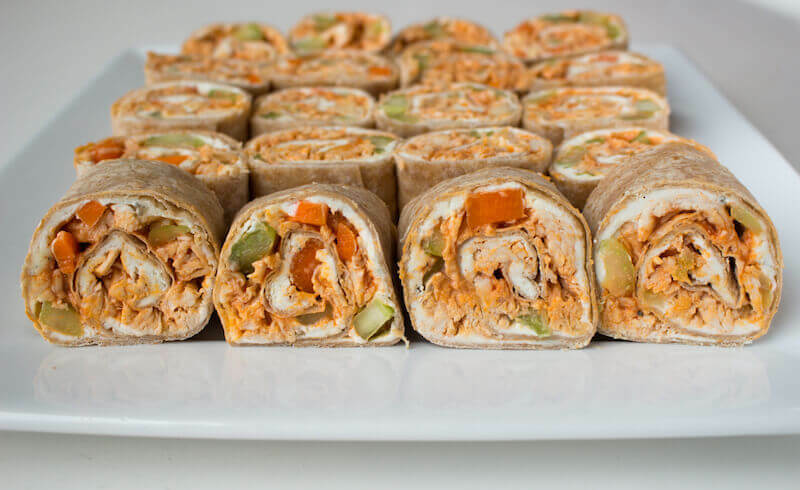 Turn up the heat at your tailgate with spicy Buffalo Chicken Wraps. 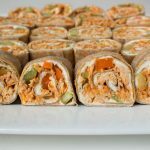 Enjoy the flavor of traditional buffalo wings (plus celery and carrots, of course) as bite-sized pinwheels. Best of all, you can make the wraps a day ahead then slice when ready to serve. 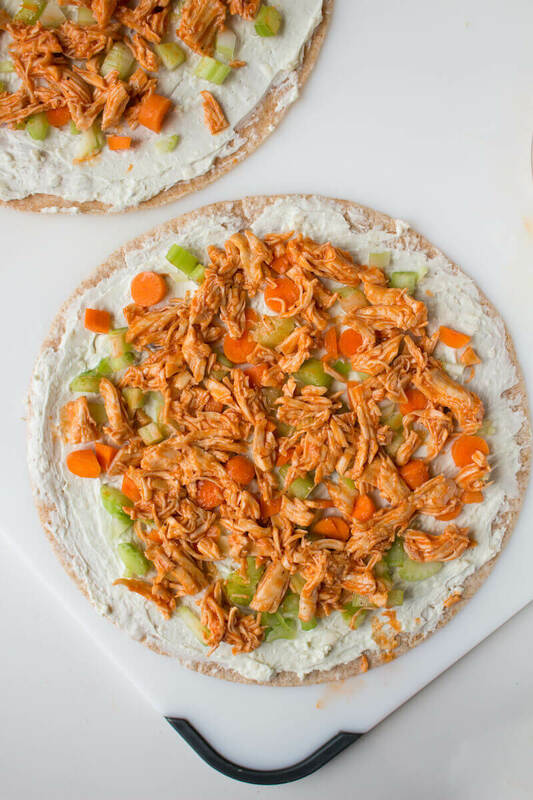 These are a fun twist on traditional buffalo chicken wings and, a favorite in our household, buffalo chicken dip. 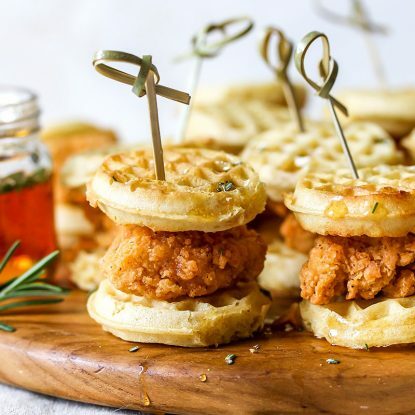 Get the Full Recipe Below these Images! 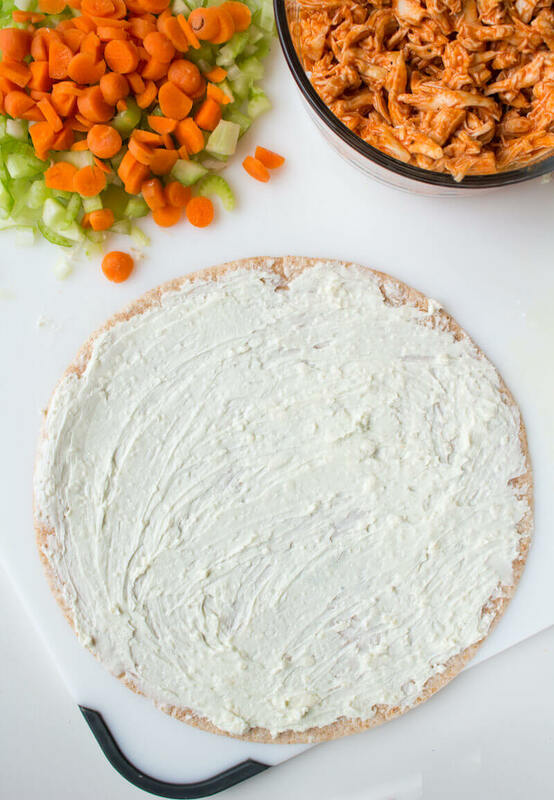 Combine softened cream cheese and blue cheese and spread evenly on tortillas. Combine chicken with buffalo wing sauce (I like Frank’s wing sauce!). Sprinkle tortillas evenly with chicken, carrots and celery leaving some cream cheese mixture around the edges to help keep the tortillas sealed once rolled. Roll up each tortilla tightly and wrap in plastic wrap. When ready to eat, slice tortillas into pinwheels. Serve with additional buffalo sauce for dipping. Soften cream cheese in microwave then mix with blue cheese. Spread 2-3 tbsp cheese mixture evenly on each wrap. Combine chicken and wing sauce and stir until combine. Sprinkle chicken evenly over tortillas then add chopped celery and carrots. Roll up each tortilla tightly and wrap in plastic wrap. 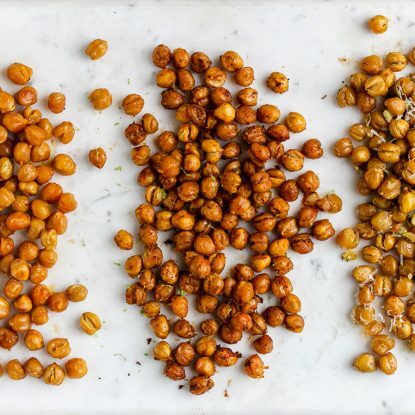 Refrigerate for 1 hour or up to 24 hours. When ready to eat, cut the ends off each roll and slice into 1-inch pinwheels. Each roll up should yield about 5 to 6 pinwheels. 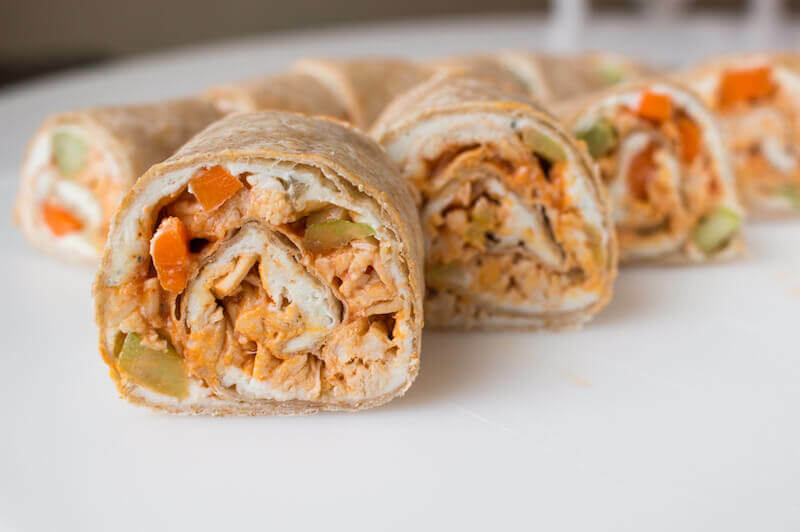 Turn up the heat at your tailgate with spicy Buffalo Chicken Wraps. 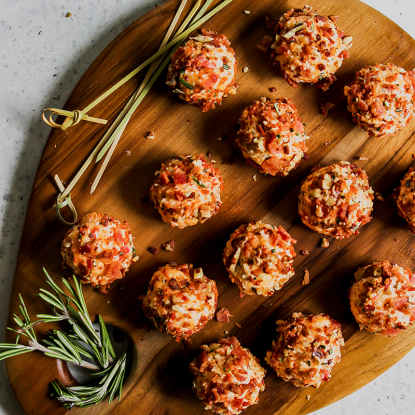 Enjoy the flavor of traditional buffalo wings (plus celery and carrots, of course) as bite-sized pinwheels.